Oreos and marshmallows. These are two of my favorite things on earth. 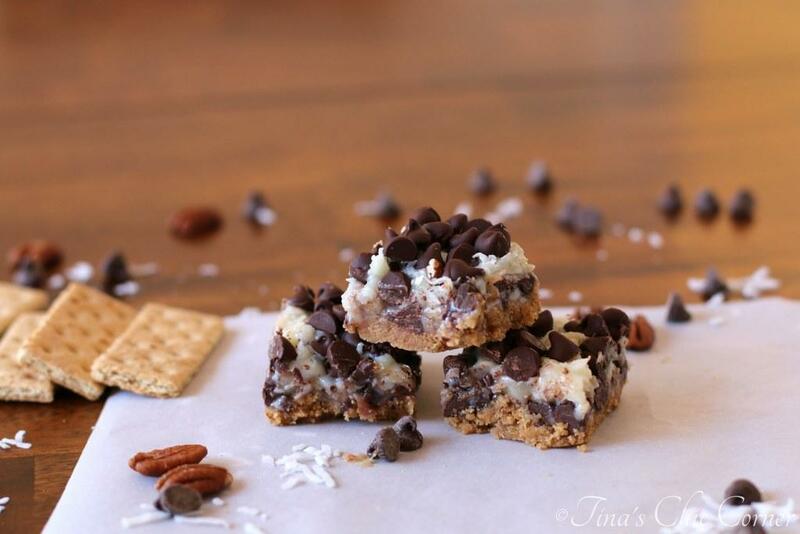 Now imagine making a no-bake bar that combines them together… it’s a reality. I’m a bit of a snob when it comes to marshmallows. Marshmallows come in three delicious sizes. Usually called miniature, original, and jumbo (depending on your brand). I only like the Kraft Jet-Puffed miniature sized ones. My husband isn’t especially picky and likes all the sizes, but only the mini ones in cocoa. The jumbo marshmallows are awesome because of their sheer ginormous size, but they’re a bit too sticky for my taste. Hmm… By that I mean that the ratio of non-sticky outside edges is too low compared to the sticky interior. Mind you, I’m comparing the size and texture of marshmallows based on eating them straight from the bag, which I’m usually guilty of doing. Who isn’t? For purposes of melting the white fluffy pillows into these bars, any size marshmallow will tasty yummy because they really are all made of the same stuff. Picture rice krispie treats, which we all know and love. 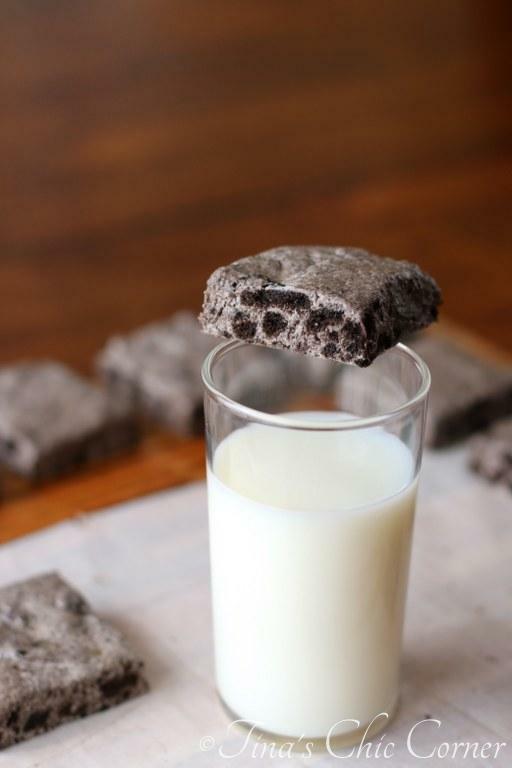 Remove the cereal and replace it with chocolate sandwich cookies and that’s what you’ve got going on here. Fabulous, right? I’ve included step by step pictures of how to make these fun bars because I found them handy when I made them. I’ve come to the conclusion that it’s pretty hard to go wrong making these. In fact, I was pretty sure I’d completely messed them up until I called my husband in to try them and he informed me that they were different than the recipe I had used, but were still delicious. Making these has a bit of variability so they can end up different and I’ll explain why. Step 1. Make the cookie crumbs. A fine crumb means that the bars will be a pale color and a little crunchy. In contrast, if the crumbs are bigger, then the bars will be a dark cookie color and have more texture from all the chunky crumbs. Either way it will taste delicious. I prefer a mix of fine and coarse crumbs. Step 3. Melt the marshmallows and butter. Everyone’s microwave is different so just keep on eye on it. I love this bowl of melty goodness! Step 4. Combine everything together. Work fast here because it’s easier to stir when the marshmallows are still warm. The more you mix the more everything will become combined (duh?). Stop stirring when you like what you see. You can range anywhere from sort of mixed to completely uniform here. Step 5. Wait. It’s not for long, but it does need time to set. 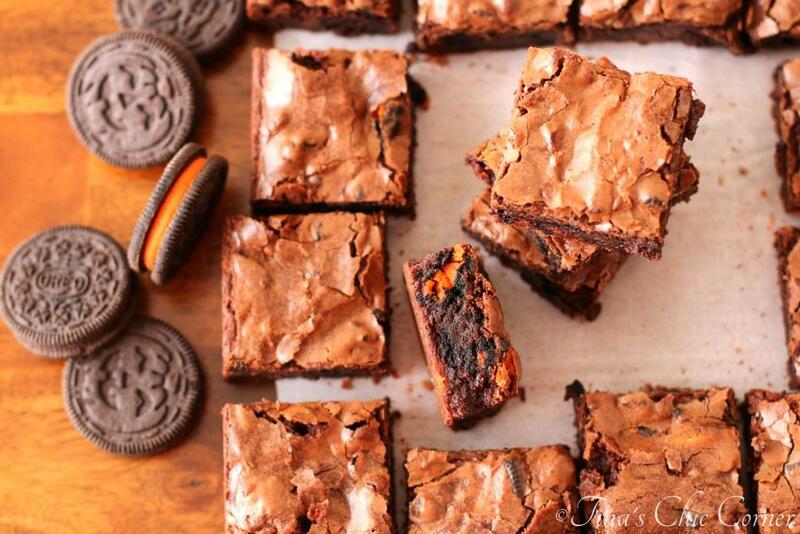 Take this time to get your sweet tooth ready because these bad boys are SO sweet! Line an 8 x 8 inch baking pan with tin foil or parchment paper, grease it, and set it aside. Place the Oreo cookies in a food processor and pulse until they are small crumbs. A variety of sizes is okay, and actually more desirable if you want bigger chunks in the final product. Place the marshmallows and butter into a microwave safe bowl and heat it for 1 and 1/2 minutes. Pour the ground Oreo cookies into the bowl of hot marshmallows right away and mix everything together. Let it set for at least 10 minutes. The timing will depend on how warm your room is. Remove it from the pan and cut it into squares. Here are some other fun bar recipes. Omg melting marshmallows and butter sounds sooo good! Brilliant Tina! 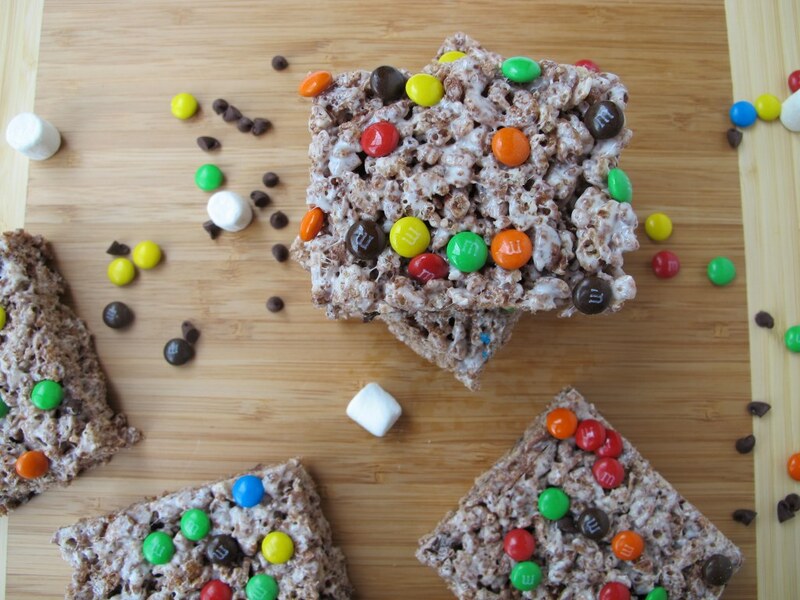 Love how easy this recipe comes together and I love the mini marshmallows too. Sharing, every where, of course!